On October 5, 2018, CRM software provider Salesforce acquired Rebel, a provider of customizable email marketing solutions, to expand its Marketing Cloud by integrating Rebel’s API-based services into its platform. Rebel offers email and API solutions that turn emails into an attachment of a retailer’s website or app, and integrates it directly with existing email providers. Founded in 2013, Rebel is based in New York with roughly 26 employees. The company has raised a total of $3 million from its seed round, in which the lead investor was BOLDstart Ventures. 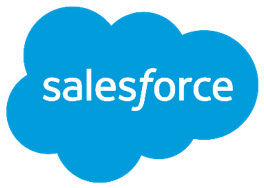 This acquisition further adds to Salesforce’s Marketing and Commerce Clouds. Other than Mulesoft, the last five acquisitions made by Salesforce have been in the Marketing and Commerce Clouds as outlined in the table below. Salesforce’s Marketing and Commerce Clouds are its smallest division by revenue; the two total $1.35 billion revenue in the last 12 months. However, it is also one of Salesforce’s fastest-growing business segments, growing at over 37% year-over-year while the company’s overall growth rate is 27%. Salesforce recently acquired Datorama, a marketing intelligence platform, for $800 million and in late 2016 had acquired Krux, a software that helps business with commerce and marketing experiences. Rebel’s customers include consumer e-commerce brands like Dollar Shave Club, L’Oreal, and HelloFresh. Rebel helps these customers seamlessly generate e-commerce transactions from an email interface. These three companies are also customers of Salesforce CRM. Salesforce Commerce Cloud has been growing since the acquisition of Demandware and CloudCraze; Rebel helps Salesforce increase customers’ conversion rates using functions like interactive abandoned cart emails. It also strengthens Salesforce’s ability to provide an omni-channel experience and a 360-degree view of the end customer.